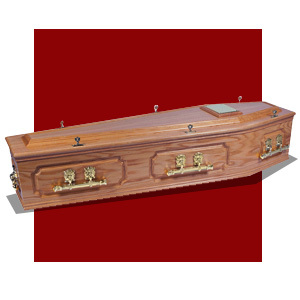 WHY CHOOSE A COUNTRY RANGE NATURAL COFFIN ? 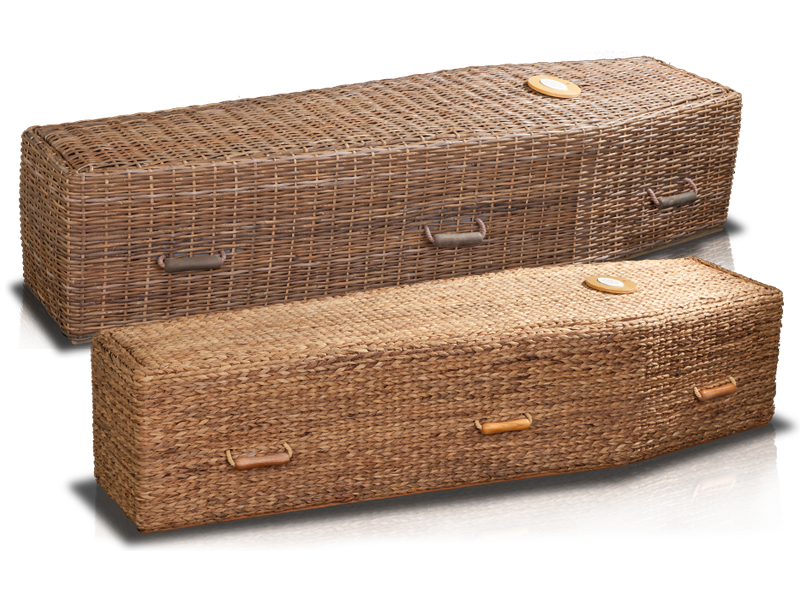 This selection of contemporary coffins and caskets is made from sustainable materials including bamboo, wicker, wool and seagrass. As well as a low carbon footprint, this range offers a social and ethical benefit, be it to a community involved with their manufacture or through our donations to Groundwork UK and Tree Tribute initiatives. The environmentally friendly Country Range is suitable for those looking for a softer, gentler and more natural feel. A range of willow ‘wicker’ coffins that reflect the unique landscape of the Somerset Levels and the surrounding areas where the willow is farmed. Available in our traditional or oval shape, in white, buff and steamed with a variety of willow colour options. 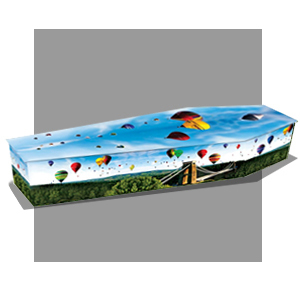 Daisy Coffins are the natural alternative to the traditional style coffin. 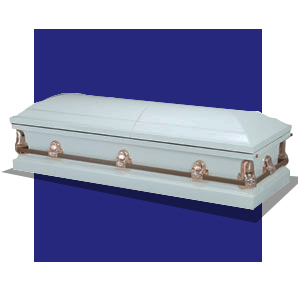 Designed with beauty and strength in mind, Daisy Coffins combine sophistication with quality. Hand-crafted from 100% natural products, the coffin panels are woven on a sustainable, soft wooden frame, making it a robust, stylish coffin. 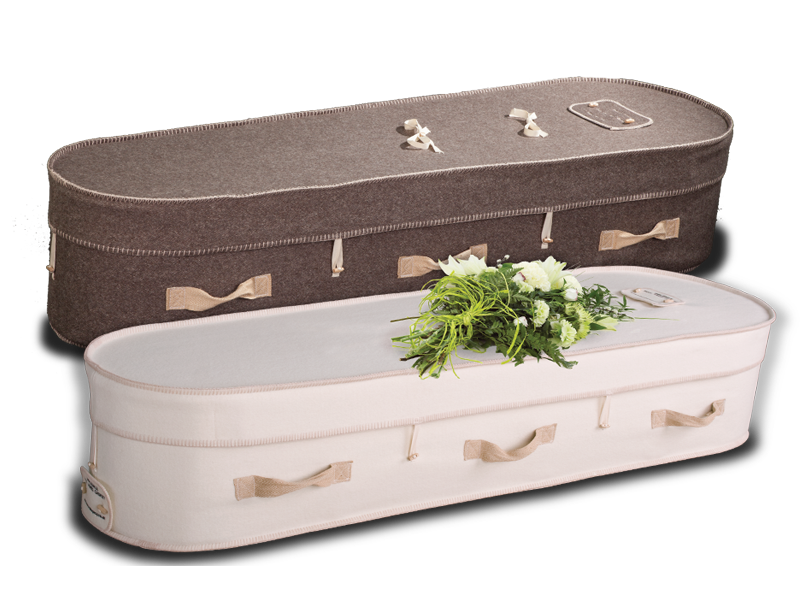 Natural Legacy is the beautiful and comforting alternative to a traditional coffin or casket, gentler on the eye and softer to the touch. 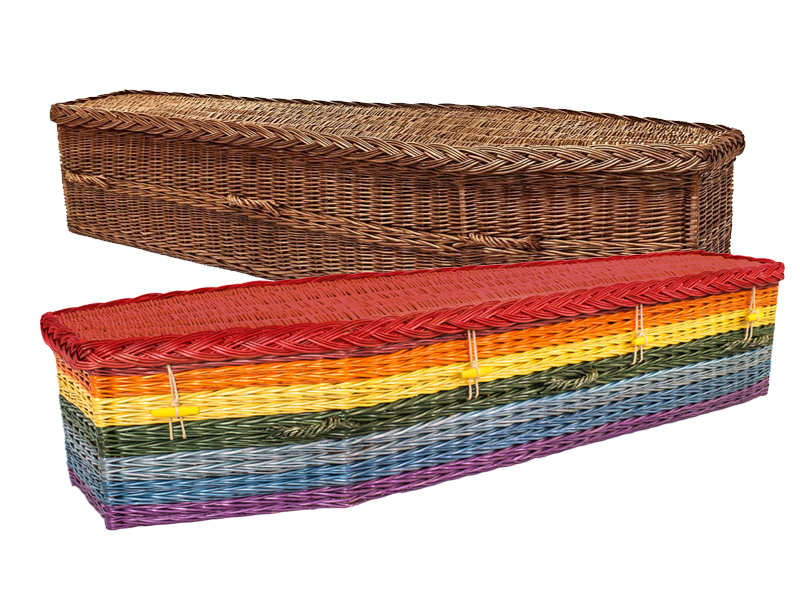 Hand-crafted using wool expertly woven in Yorkshire; these beautiful coffins in a softer oval shape are loved by families looking for something less severe. Woodland coffins are hand finished to the highest standards, manufactured from Forest Stewardship Council certified wood. 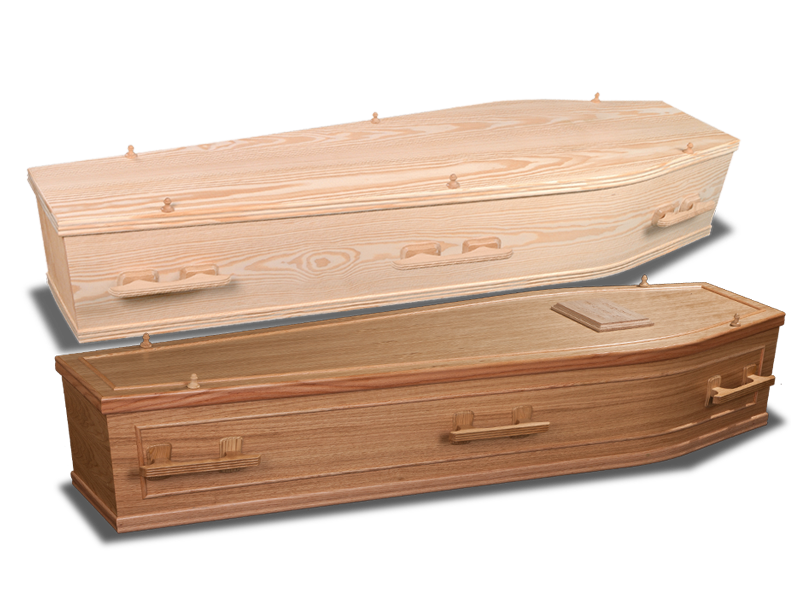 These low impact coffins are the perfect choice for families wanting a woodland burial. 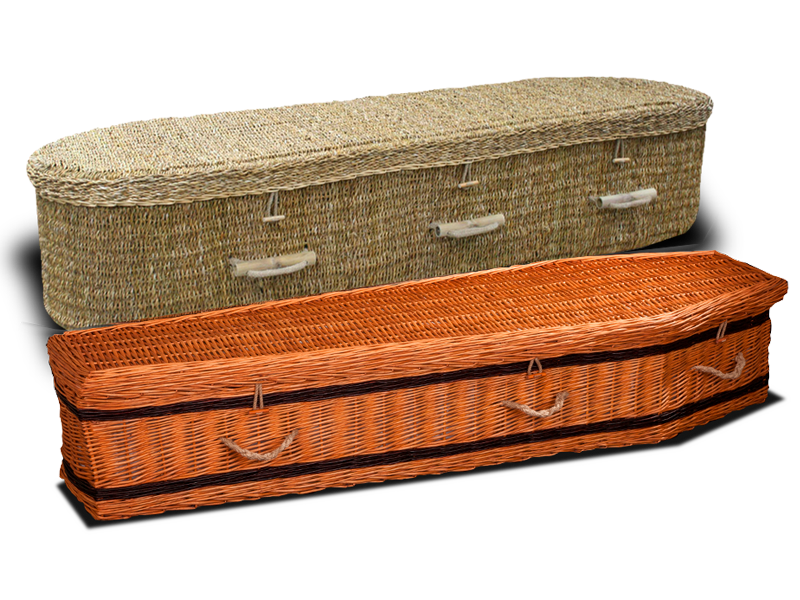 Comitted to, and certified against the ten principles of fair trade, this simple range of Seagrass, willow and bamboo coffins and caskets brings both social and environmental benefits as standard. Hand-crafted by the Oasis Centre enterprise in the Nilphamari district of Bangladesh, materials that can be sourced locally are done so at a fair price making a positive impact in a region of extreme poverty.